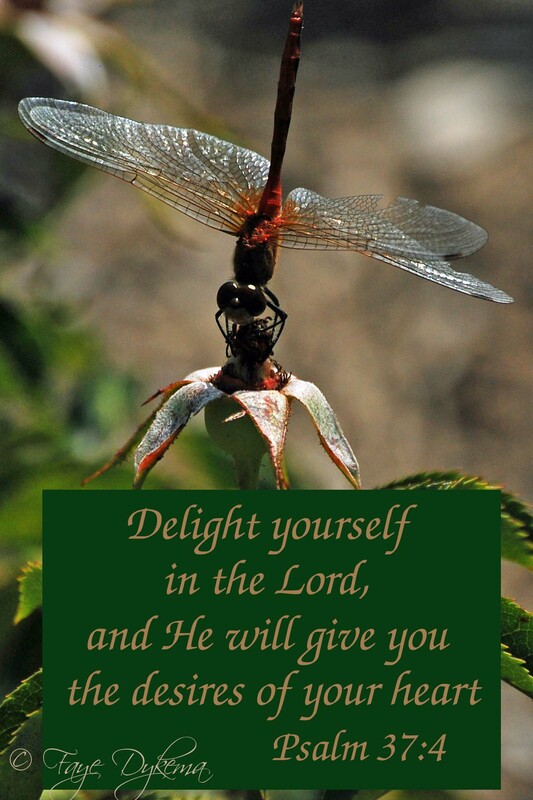 Delight in God | God's Abundant Blessings! I can’t describe how I felt – awed, humbled, embarrassed, thankful, grateful. God heard my prayer and answered almost immediately – not with physical healing, but with words of encouragement. He may not heal our diseases or solve issues here on earth, but He always hears our prayers. And better yet, He promises that He will abundantly bless us in the life to come. God blesses us with glimpses of His glory and goodness. While walking today, I was blessed by the sunshine, white wispy clouds, and the eagle soaring above me. Later I watched a Downy Woodpecker working at the trunk of a tree. How can a bird get food from frozen trees is beyond me, but God provides for all. God’s goodness for all His creatures is a glimpse of how much more He cares for us. Guthrie states, “To live by faith is not to have confidence that God will make everything okay for us in this life, but that He will more than make up for the pain and difficulty of this life in the next.” What incredible assurance we have! What a precious gift from God – FAITH! So many people today seem to be burdened with trials. When we become so focused on the things of this world – good or bad –we miss the promise from God for our future. This blog is linked with Good Morning Girls Link-Up Wednesday. Posted on January 30, 2012, in God's Blessings, Leading, Prayer and tagged encouragement, Enjoy God, Faith, God's love, nancy guthrie, Psalm 37:4; Hebrews 11:1. Bookmark the permalink. 4 Comments. Over the years I have come across a lack of understanding towards my chronic illness from fellow believers. There is a lot of ‘name it- claim it’ in certain areas of Christendom. If we only say certain Bible verses out loud so may times a day and loudly at that we will be healed. It seems to be treated as some ‘magic formula’. I once traveled to see a well known minister of healing in a big arena. We ended up sitting in the balcony. When it came time to go forward it seemed that there were people who were already set up to go first. Then there was at least a general prayer over all in the audience for healing. I believed, of course I did. My husband drove two hours one way to get me there. I was disappointed that I was not healed. After many years I came to the conclusion that yes we will all be healed. But…..if not on earth then we will all be eventually when we receive our new bodies from God. Faith is truly the evidence of things not seen. It’s so frustrating when others try to downplay the difficulties someone is facing or even worse when they seem to know more about what your faith should be in order to heal you. Remember James says make no bones about it – as believer we will all face trials and periods of difficulties. James 1:2-4 even tells us to “Consider it all joy … when [we] encounter various trials.” A Bible study I was reading today said “We cannot plan the uncomfortable events that are going to occur in our lives. Trials are going to befall us before we have the luxury to plan for them.” The writer encouraged us to be deeply rooted in the word. I’m finding in this journey that Faith in God is the only thing that is giving me healing. It’s not the physical healing that I’ve asked for, but God has blessed me with spiritual healing that everything will be all right when I put my trust in God every day. Remember that He knows the number of hairs on your head and cares incredibly for you. There are so many “Whys” that are never answered to our satisfaction here on earth. God has secrets that he will reveal later on. How I wish I could know NOW! That is just the way we are!